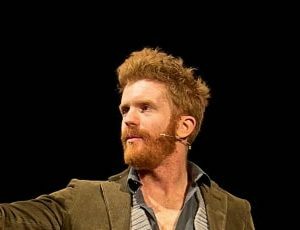 Seasoned world-wanderer and microadventurer Alastair Humphreys is an inspirational, entertaining and highly popular motivational speaker. 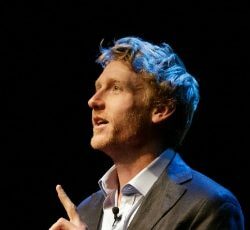 With a genuine belief that adventure means something different for everyone, and that it is ultimately about enthusiasm, ambition, open-mindedness and curiosity, Alastair Humphreys is an inspiring and entertaining motivational speaker who is passionate about encouraging people. In his talks, he shares practical information about breaking down seemingly insurmountable challenges into achievable goals, staying motivated through adversity, and conquering self-doubt and fear of failure – all based on his own adventures. Alastair spent over four years cycling around the world, a journey spanning 46,000 miles and sixty countries across five continents. 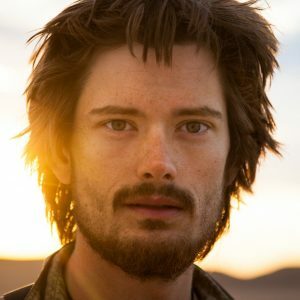 And he has very consciously not limited himself to just one type of adventure but has sought out challenges in varied environments: he has walked across southern India following the holy Kaveri river; rowed across the Atlantic Ocean; run the Marathon the Sables, six consecutive marathons across the Sahara Desert; rowed to France; completed a crossing of Iceland by foot and packraft; and participated in an expedition to the Arctic, close to the magnetic North Pole. He also walked across the Empty Quarter with fellow Athenas speaker Leon McCarron, following in the footsteps of one of his heroes, Wilfred Thesiger, trekking 1000 miles across the desert in Oman in 45 days. An award-winning film of this expedition, “Into the Empty Quarter,” was released in 2013. In an effort to break down the barriers surrounding the sometimes elitist world of adventure, Alastair promotes the concept of microadventures: shorter challenges that anyone can participate in. Corporate audiences in particular appreciate that Alastair’s microadventure concept communicates relevant messages of creative thinking, change, finding opportunities within constraints, personal and team development, as well as mental and physical well-being. Alastair’s many adventures, great and small, have taught him a lot about resilience, human potential, risk and rewards, and with his humour, experience and huge range of anecdotes, he challenges his audience to challenge themselves. 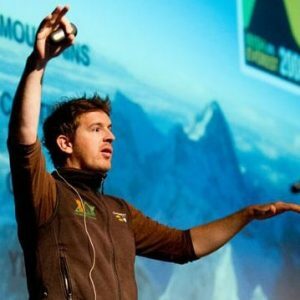 Alastair was named one of National Geographic’s Adventurers of the Year in 2012 in recognition of his microadventure concept.